Water Treatment Plant on March 26, 2018. 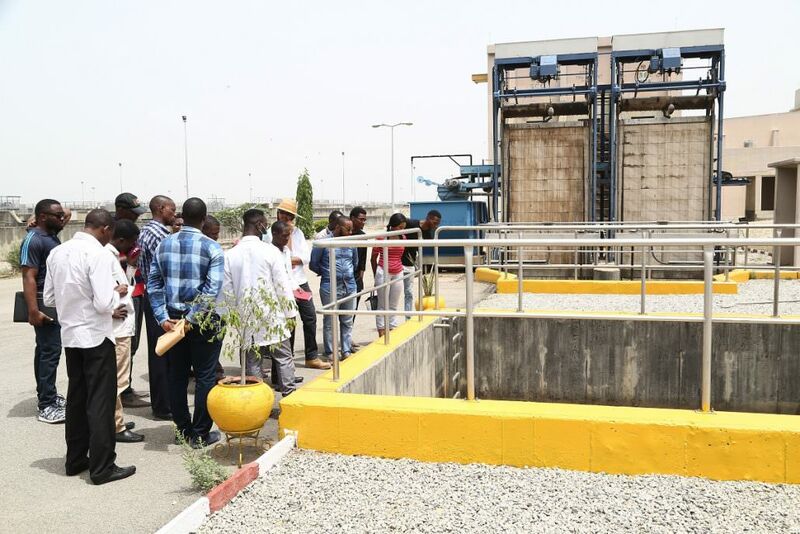 The main objective of the visit was to bridge the gap between theoretical concepts and practical realities; enlighten the students’ activities relating to Environmental Engineering, and how environmental activities are planned, designed and executed. A total of 15 students, five academic staff, and one non-academic staff were present. The team was led by the acting head of the Civil Engineering Department, Engr. Dr. MogboOnyebuchi, and Mr. Tiza Michael. On arrival at the Plant, the Plant’s lead Engineer welcomed the students and gave a brief introduction of the importance of safety for visitors. This was followed by a tour of the facility (led by the Site Engineer), during which students learned the functions of the Plant’s many equipments. The students also got a chance to visit the mini zoo located in the compound. The excursion ended with a review session during which the Lead Engineer went over, with the students, all the material covered during the tour.